San Francisco Inadequate Security Attorneys | Bracamontes & Vlasak, P.C. Building owners and landlords have a duty to protect guests and tenants from foreseeable harm. Many times, assaults, robberies, rapes, or murders occur by third parties because the landowner has failed to provide adequate security, such as sufficient lighting, working locks and windows, intercom systems, alarm systems, security doors, security bars, or closed circuit television surveillance. The lawyers of Bracamontes & Vlasak, P.C., represent clients in the Bay Area who have been victimized as a result of inadequate security. Contact us to schedule a free consultation if a known security risk led to your injury. When the land or building owner has been put on notice of foreseeable harm by prior similar acts of violence by third parties but has failed to take any remedial action to prevent future harm, the landowner has a heightened duty and can be held liable for injuries or death to tenants or invitees caused by third parties. Many of these cases result in wrongful death or negligence lawsuits against landlords or store owners. If a tenant or invitee has complained about a condition posing a security risk in the past, and the landowner has failed to take remedial action, again, the landowner may be under a heightened duty and can be held liable for future harm. 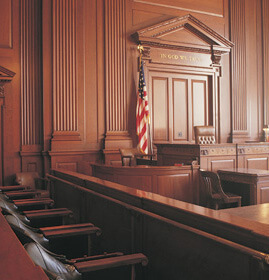 In some cases, violations of health and safety codes, sections of the California Civil Code, and/or local, state, or national building codes and standards (such as ANSI) can provide grounds for a negligence per se jury instruction at trial in order to impute strict liability to the defendant. Contractors improperly installing doors, windows, or security systems can be liable for third-party criminal acts to occupants if they performed the work with latent defects that would not be visible to the landowner upon completion of the job. In other cases, private security companies hired to patrol or protect an area can be negligent, resulting in harm and injury to guests at the premises. Experts in inadequate security cases can include: security experts, engineers, contractors, building code experts, damages and medical experts. In all such cases, a full vulnerability assessment should be conducted by a qualified security expert hired by plaintiff’s counsel, including a crime scene investigation and analysis of crime statistics in the area to prove foreseeability. At Bracamontes & Vlasak, we have a proven track record of holding negligent landowners liable for assaults, injuries, and deaths resulting to tenants and invitees. To see some of our firm results in this practice area, please Click here. Contact an attorney at BV Law for a free consultation concerning a potential premises liability/inadequate security lawsuit. You can reach us by telephone at 415.835.6777.